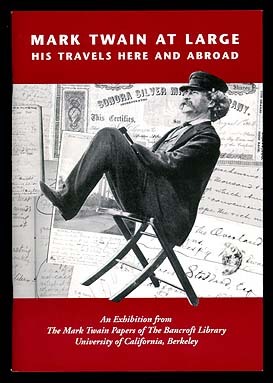 The items from The Mark Twain Papers shown and described here are selected from an exhibition on display in The Bancroft Library from 25 September to 11 December 1998. All of Mark Twain's previously unpublished words quoted in this catalog are © 1998 by Richard A. Watson and Chase Manhattan Bank as Trustees of the Mark Twain Foundation, which reserves all reproduction or dramatization rights in every medium. Editorial foreword and item descriptions © 1998 by the Regents of the University of California. Copyright (C) 1998-2001 by the Library, University of California, Berkeley. All rights reserved. Data owner: mtp@library.berkeley.edu Last update 3/16/15.